Danish technology company, PCBMotor ApS, a Piezo motor manufacturer, today announced it was named the winner in EE Times sixth Annual Creativity in Electronics (ACE) Awards in the Editors Choice category. 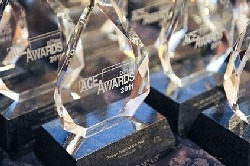 The 2010 EE Times ACE awards celebrate the creators of technology who demonstrate leadership and innovation in the global electronics industry. PCBMotor’s product, was selected as a winner due to its new motor design enabling motors to be mounted directly onto a Printed Circuit board. “We offer a patented new technology that allows you to build one or more motors directly onto the PCB itself. It significantly reduces application cost and introduces a world of new design opportunities. We’re extremely proud of being awarded The ACE Award and to be recognized in the category of Editors’ Choice Award, was particularly exciting. The editor’s choice award goes to an individual, an organization, a product or technology that shows the greatest promise in the coming years,” explains Henrik Staehr-Olsen, PCBMotor’s CEO. “This is actually the second time PCBMotor has received an award. 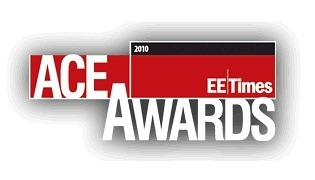 In November 2009 EE Times, voted us the 2nd best ‘EE Product Center’s Top 10 products of the year’. This was a great achievement and something we were really honored to receive. From day one, our team’s been dedicated to improving our patented, Piezo motor technology. We’ve already seen a significant increase in our customer base,“ says Henrik, proudly. The EE Times Annual Creativity in Electronics (ACE) Awards honors innovators who demonstrate global electronics industry leadership and celebrates the creators of technology who exhibit leadership, innovation and shape the world we live in. Awards were presented on April 27th during the ESC (Embedded Systems Conference) Silicon Valley. Awards are presented in 13 categories and are judged by the editors and a blue-ribbon panel of industry experts, comprised of the leading voices of academia, industry and Wall Street executives. A travelling wave is generated over the stator surface, acting as a flexible ring, and produces an elliptical motion on the rotor interface. This elliptical motion of the contact surface propels the rotor and the connected drive-shaft. 1 mm x 1 mm piezo ceramic components are mounted on PCB. Operation depends on friction between the moving rotor and the stator as well as the amplitude and quality of the wave travelling on the stator. The rotor can turn between 60 and 120 RPM with torque ranging from 1 Nmm to more than 70 Nmm depending on the stator’s diameter, the number of piezo components and the rotor design and material. Visit www.pcbmotor.com to request a whitepaper, and free layouts. Get technical details, performance data and practical information on how to turn your PCB into a motor.